Modern High Definition technology is amazing for movies and sports, and now, it’s even better for video security! 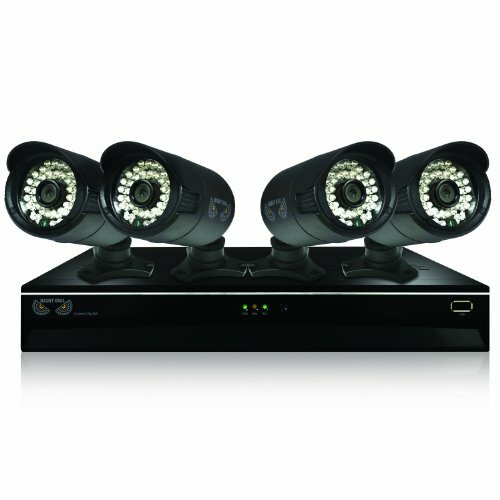 The latest in cutting edge HD technology has greatly impacted the video surveillance market. Customers continue to demand more enhanced image quality for use in applications where showcasing movement and identifying objects are vital. Nothing is more precious than your family, your home, your business and your peace of mind. Clearer HD images and video greatly enhance the recognition of intricate details such as license plate numbers and distinct facial features. With the introduction of HD resolution in security cameras, clearer and sharper images have become the new standard! 4 Ch. 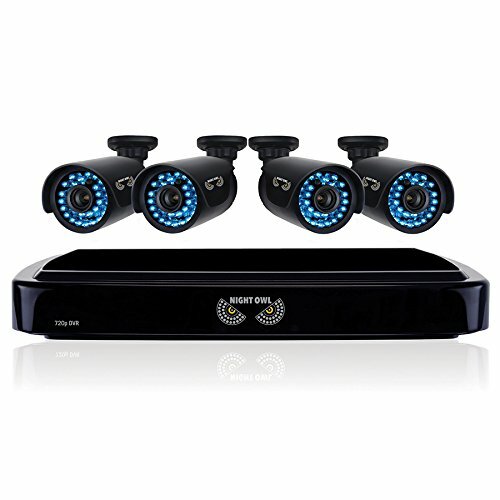 HD Network Video Recorder with 1TB HDD, HDMI Output, 4 Night Vision 720p Cameras and Free Night Owl Pro App Night Owl's NVR7P-441 is a next generation Security Camera System ideal for the protection and monitoring of your home or business. 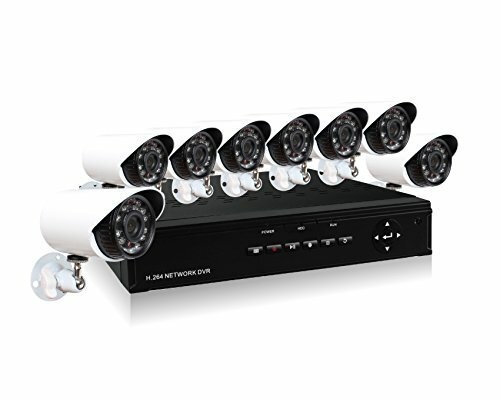 Security cameras capture 720p Hi- Definition video recorded by a 1 Terabyte Network Video Recorder (NVR) with HDMI output. Live-streaming and previously recorded videos are accessible via Smartphones & Tablets, PCs, or Mac anywhere, at any time. With motion-activated email alerts and push notifications, Night Owl helps you keep a watchful eye over what matters most. Key Features: 4 Channel HD NVR Pre-Installed 1TB Hard Drive* HDMI output Full 720p HD Recording Resolution (1080 x 720) Includes 4 PoE Ports PC and Mac compatible (Windows XP, 7, 8 / Mac OS 10.8+) Included Night Owl Pro mobile app for Smartphone Integration Owl Scan TM - Easy 1-2-3 Smartphone Setup. 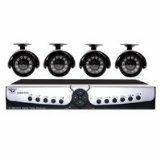 4 Indoor/Outdoor 720p Cameras 720p Recording Resolution All Cameras Audio Enabled 120 ft. of Night Vision 60 ft. of PoE Cable per Camera Included. 24/7 Support All Night Owl security products come with real 24/7 phone and web support 365 days a year in English and Spanish completely free of charge for every user. Rest assured you can reach us anytime and day. 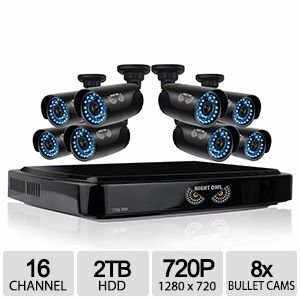 The Night Owl HD 720p 16 Channel AHD Security System has Modern High Definition technology that is amazing for movies and sports, and now, it's even better for video security! The latest in cutting edge HD technology has greatly impacted the video surveillance market. Customers continue to demand more enhanced image quality for use in applications where showcasing movement and identifying objects are vital. Nothing is more precious than your family, your home, your business and your peace of mind. Clearer HD images and video greatly enhance the recognition of intricate details such as license plate numbers and distinct facial features. With the introduction of HD resolution in security cameras, clearer and sharper images have become the new standard! 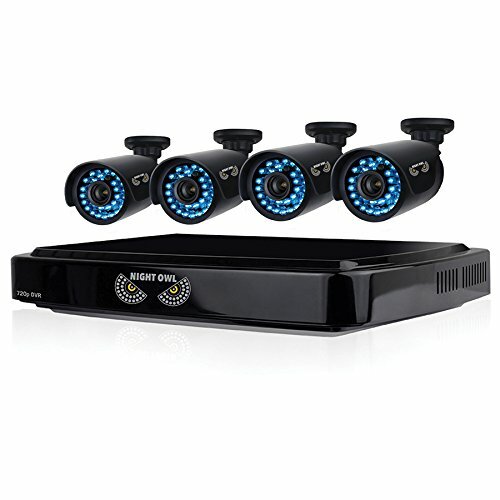 Night Owl's cutting edge NVR10-441 is a next generation Complete IP based video security system ideal for the protection and monitoring of your home or business. 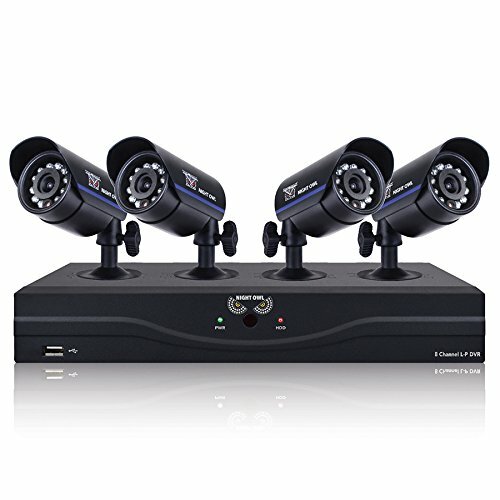 The included security cameras capture full 1080p Hi-Definition video recorded by a state of the art Network Video Recorder (NVR). The NVR includes 4 Power Over Ethernet (PoE) ports that can run Video and Power on standard Cat5e/Cat6 cables. Unlike other security systems Night Owl enables you to maintain your mobile lifestyle by giving you tools that allow you to remotely monitor your home or business with our exclusive Night Owl HD App! Receive motion activated push notifications to your Smart Device when the sensors detect activity. 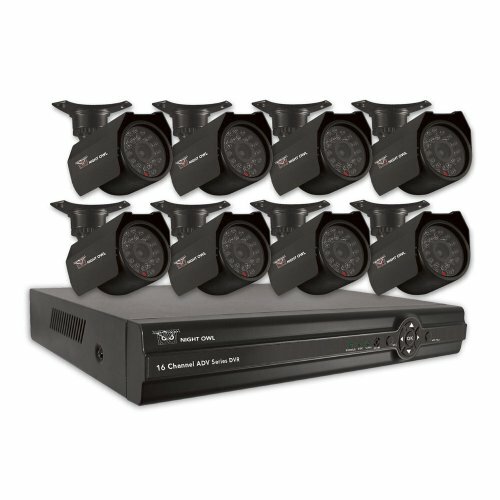 Night Owl’s ADV1-168500 is an advanced 16 channel complete security solution with 500GB hard drive, and 8 indoor/outdoor cameras that is fully controllable on your Smartphone, Tablet, PC or Mac. With motion activated push notifications, email alerts and easy Smartphone access, this Night Owl system gives you true 24/7 video security day or night no matter where you are located in the world. 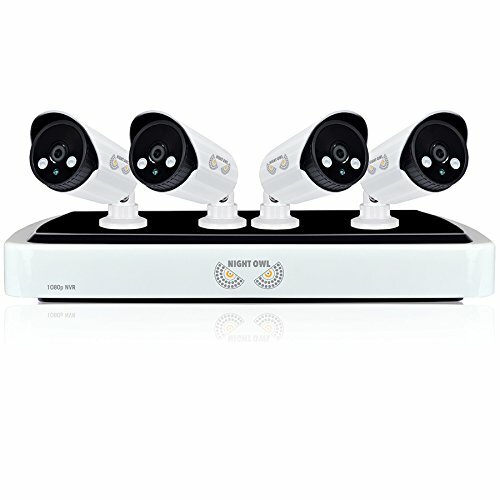 Night Owl’s ADV1-84500 is an advanced 8 channel complete security solution with 500GB hard drive, and 4 indoor/outdoor cameras that is fully controllable on your Smartphone, Tablet, PC or Mac. With motion activated push notifications, email alerts and easy Smartphone access, this Night Owl system gives you true 24/7 video security day or night no matter where you are located in the world. 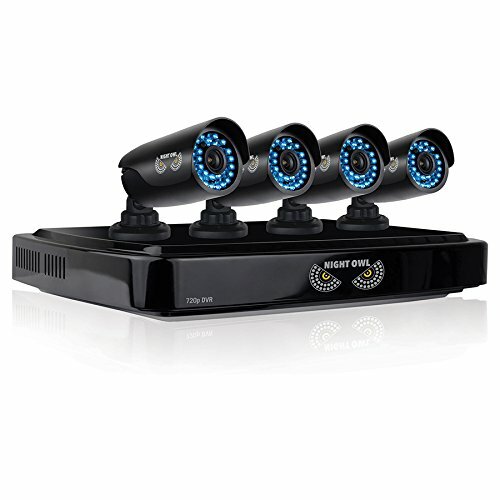 Night Owl’s ADV1-44500 is an advanced 4 channel complete security solution with 500GB hard drive, and 4 indoor/outdoor cameras that is fully controllable on your Smartphone, Tablet, PC or Mac. With motion activated push notifications, email alerts and easy Smartphone access, this Night Owl system gives you true 24/7 video security day or night no matter where you are located in the world.